In The Gatekeepers, six former heads of Shin Bet — Israel’s security agency — go on camera and talk about their work, their country, and their enemies and victims, the Palestinians. The mere subject — interviews with former directors of Israeli intelligence — would be enough to make any documentary worth seeing. As The Gatekeepers tells us, the head of Shin Bet is the organization’s only non-secret member. The Gatekeepers makes a solid whole out of a string of anecdotes and analysis that roughly tracks the history of Israel from the Six-Day War in 1967, almost to the present day. The six men speak frankly about assassinations and torture. You don’t become the head of Shin Bet without being a hawk. 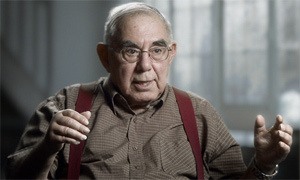 Avraham Shalom, the oldest of the interview subjects, left over an incident in which, he says, “we killed a terrorist whose hands were [literally] tied.” Another recalls one of his great successes: assassinating a target using a phone bomb. Another recalls killing between 9 and 14 bystanders, but missing his target, by using a bomb that was too small to break through to the first floor of a building. Yet later he condemns “overkill” as not only stupid, but immoral. In fact, most of them condemn the injudicious use of Shin Bet by politicians trying to score points. And if immorality isn’t reason enough to rein in an organization like Shin Bet, there are the practical reasons. The phone-bomb assassination stirred a hornet’s nest; relations went from low-level hostility to violent retaliation. And then there’s the cost of becoming the kind of society that treats an entire class of people so badly. Avi Dichter, the second-most-recent director interviewed, almost (but not quite) compares Israel’s treatment of Palestinians with Germany’s treatment of Jews leading up to World War II.